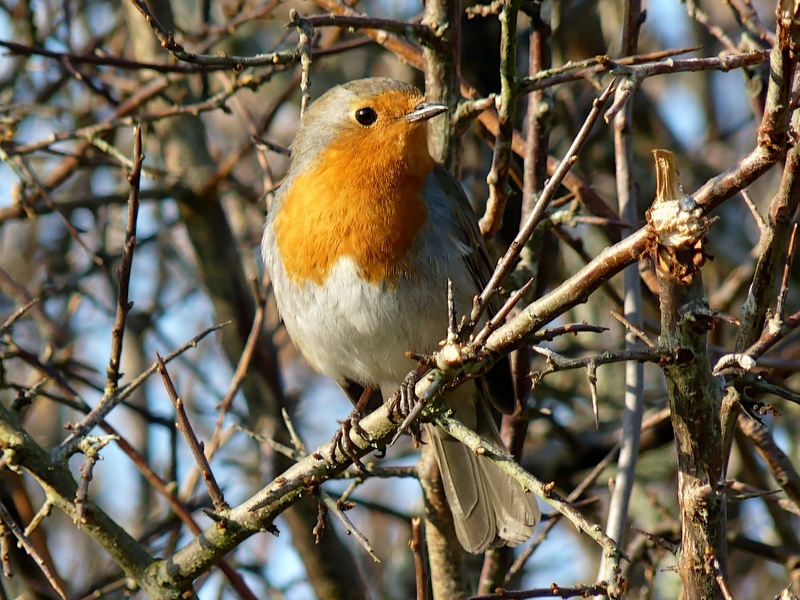 There is no doubt that the robin has always been the the number one bird at Christmas, adorning many cards and trees. 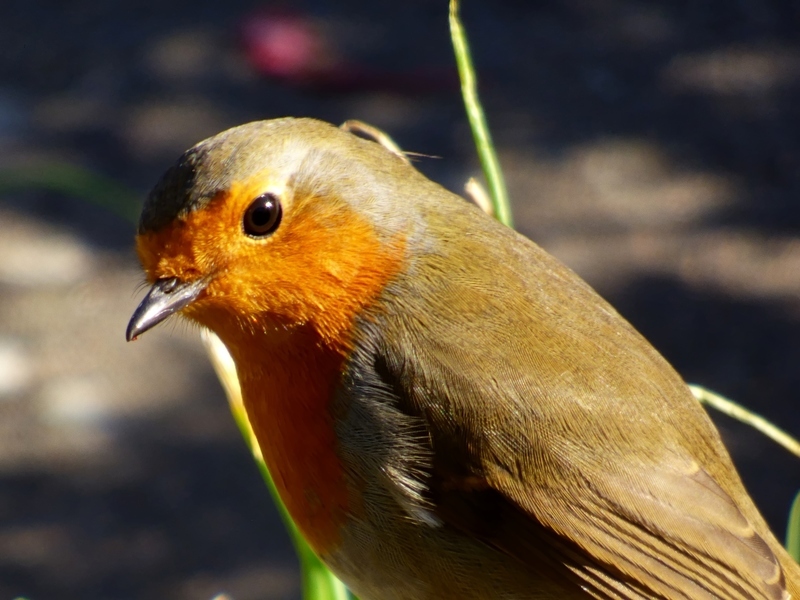 A couple of years ago, the robin topped a poll of more than 200,000 people to become the UK’s first national bird. That’s the second time it has been given that accolade, the first being in 1960. But it has never been made the UK’s official national bird. 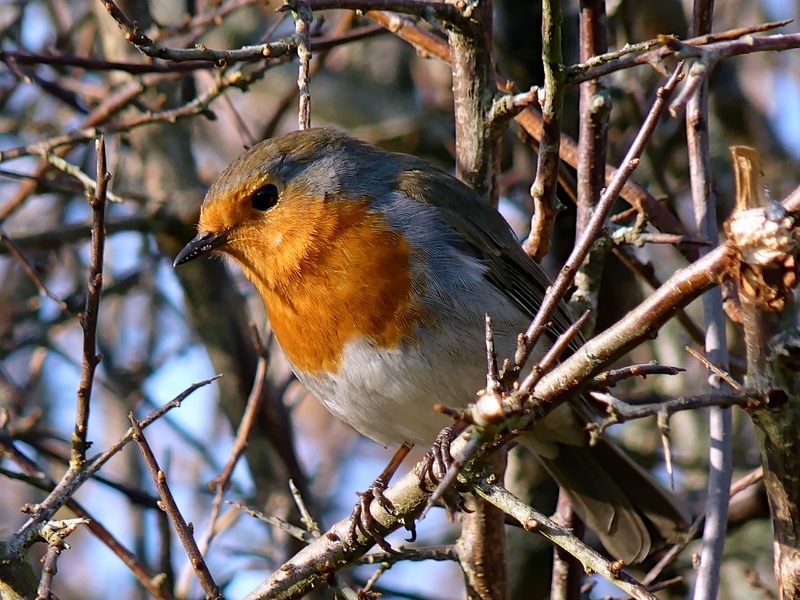 So now that we have moved into the pre-Christmas period*, a blog post about robins is clearly overdue. * I think it officially starts as soon as the Halloween stuff is cleared from the supermarket shelves, notwithstanding that many Christmas lights are put up in mid-October. 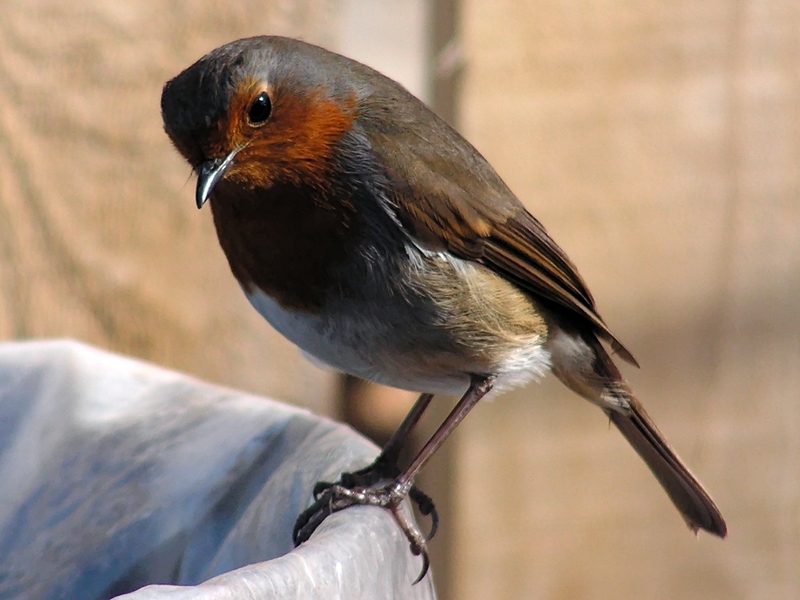 Robins are are aggressively territorial. 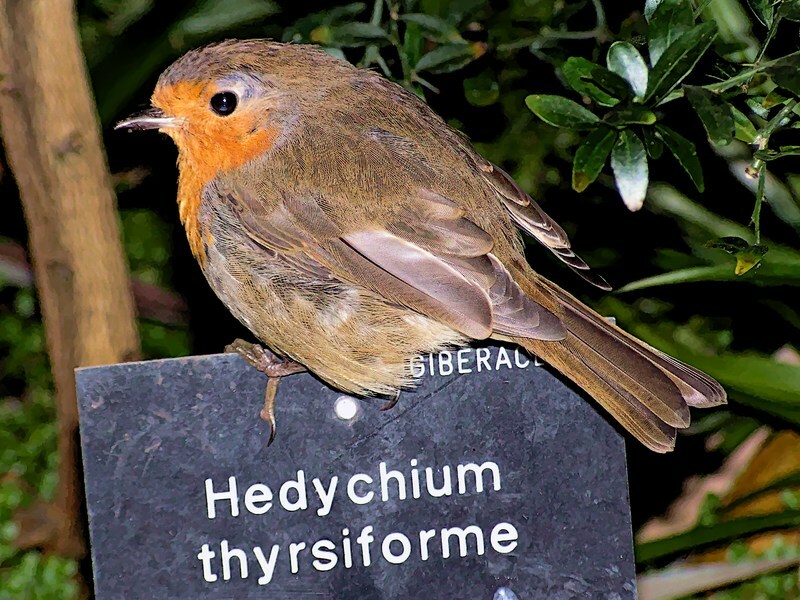 This one is defending the greenhouse in Edinburgh Botanical Gardens. 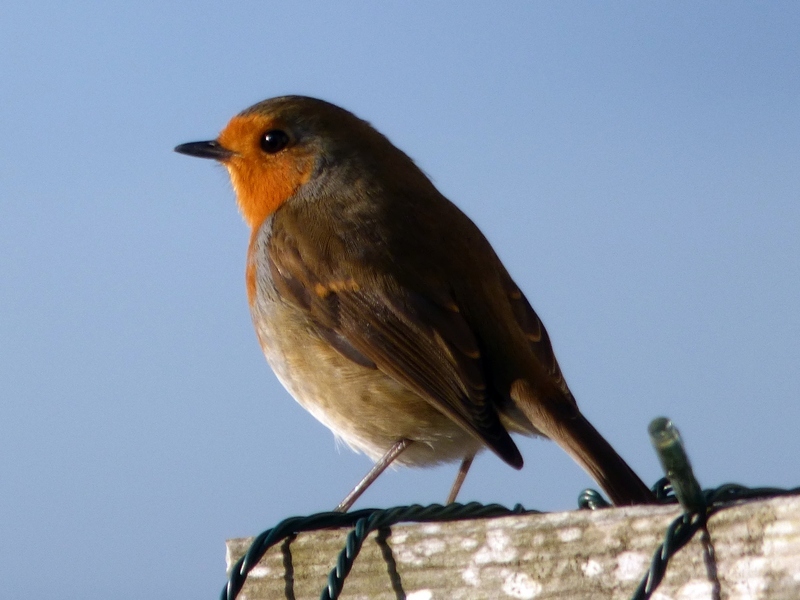 Robins sing all year round – to warn off other intruding robins. 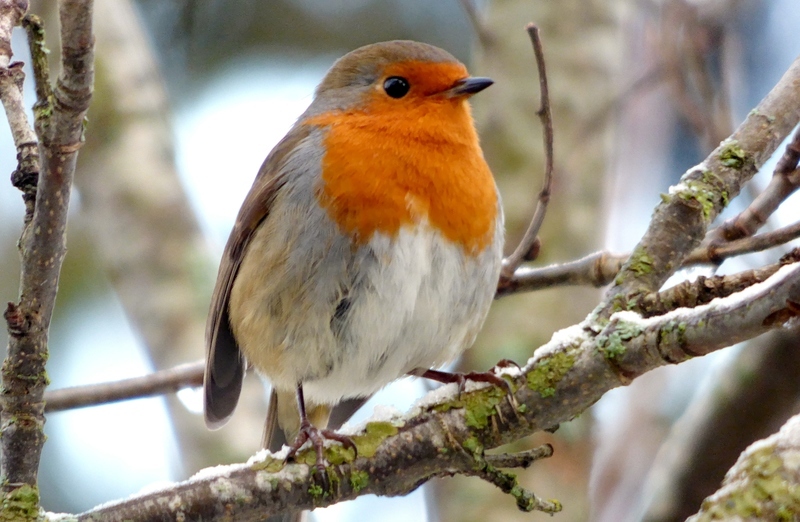 It’s said that robins became associated with Christmas during Victorian times, when postmen wore bright red uniforms. 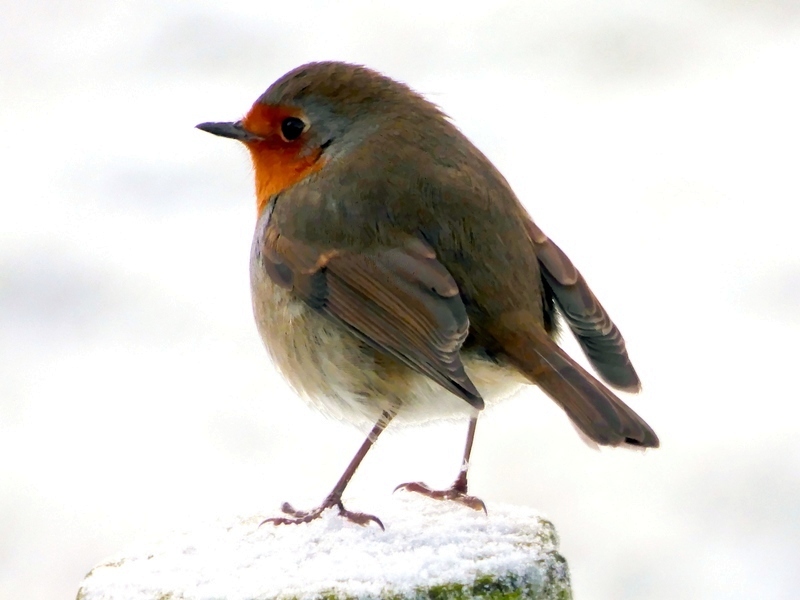 I’m not sure how looking like Victorian postmen ties in with the Victorians using robin skins to adorn ladies’ hats. 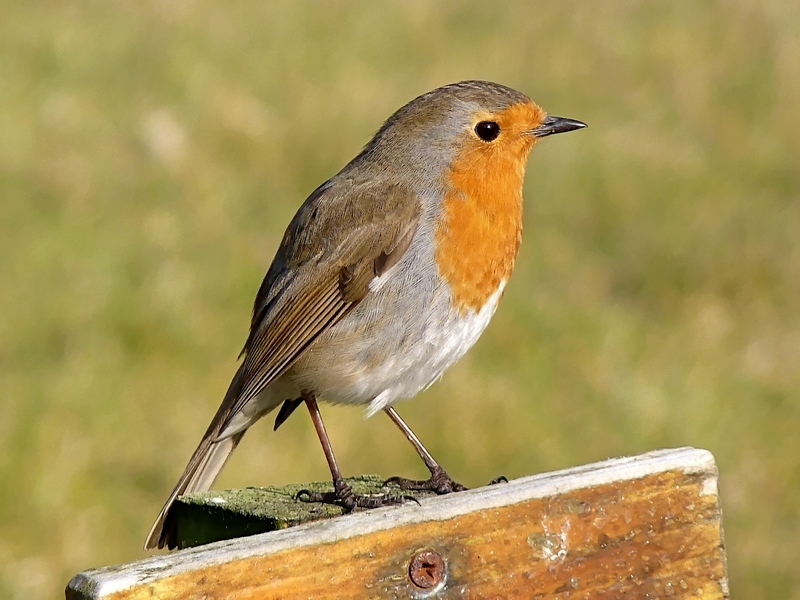 Robins grow to full size in just two weeks. 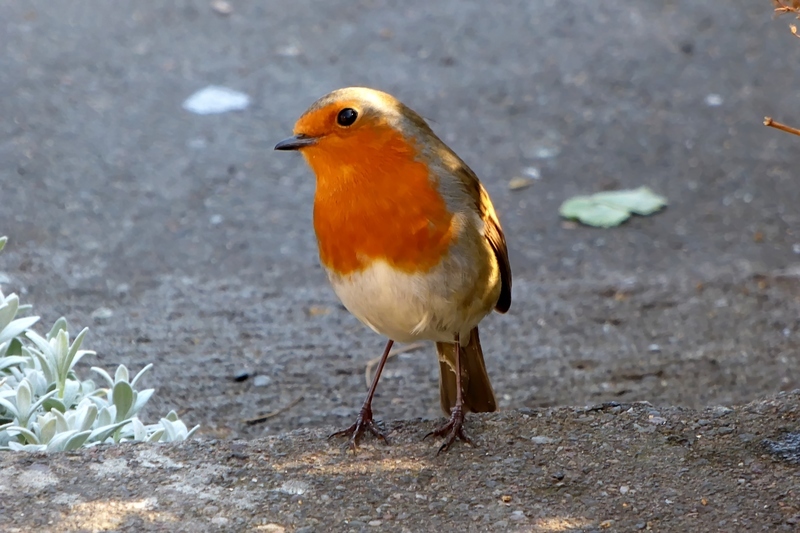 The average lifespan of a robin is just over a year – most die in their first year, but they can live for ten years or more.